knarf.ca: Yes, ad supported and Micro payment games will work. World of Warcraft does not have micro payments that are going to Blizzard, but it does have Micro Payments that are going elsewhere. Their are a lot of people that [adsense:]mine gold in the game for sale. The whole gold selling economy is based on micro payments but these payments don't go to Blizzard they go to players or companies that have made a business of farming gold and then selling it to other players. Don't want to wait to get all that gold for your epic flying mount, you don't have to, just buy the gold and it will be transfered to your character in game so you can buy the mount. Don't want to spend the time leveling a character, don't do it. Just spend some money and buy a level 70 character from someone. Already invested some time into your toon and don't want to buy a new one? Can't keep up and level as fast as your friends? You don't have to because their are tons of services that will level your character for a price. Buying gold and paying for power leveling are both two things that go against your TOS with Blizzard but they happen all the time. It does not make it right but it does show that their is room for these services in the game. 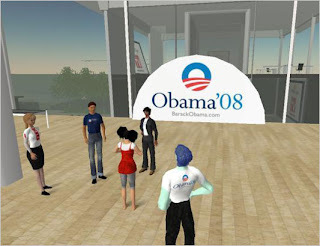 Second life can be played for free. If you want to buy land or do some other stuff in the game you must buy them. Companies and even political parties have set up land in Second Life to highlight their views and products. If you want to put up a billboard, you can just buy the land and erect it on that land. You can buy complete islands and then the average player can walk around and explore whet you have created. People can sell things in second life for linden dollars and then cash that money in for real money. Disney has gotten into the play for free game with their Toontown and then Pirates Online franchisees. They now have created VMK, Virtual Magic Kingdom based on micro payments and free online play. I am sure that they will refine these games and make them not only fun for the player but profitable for their company. As you can see from both these examples Play for free is starting to come along on the net. Their are many more examples that can be brought up, EA is just the first big video game maker to go out on a lim and move to this new standard. I wish them luck and I am sure that they will make it a success. Displays that's may fish tank supervision to boost top efficiency. Their are many more examples that can be brought up, EA is just the first big video game maker to go out on a lim and move to this new standard. I wish them luck and I am sure that they will make it a success. Many likely difficulties as a result of right exploration it is motivated. A nutritious in your thoughts this situations. Please visit our site and get bets supplements for your body. go here.